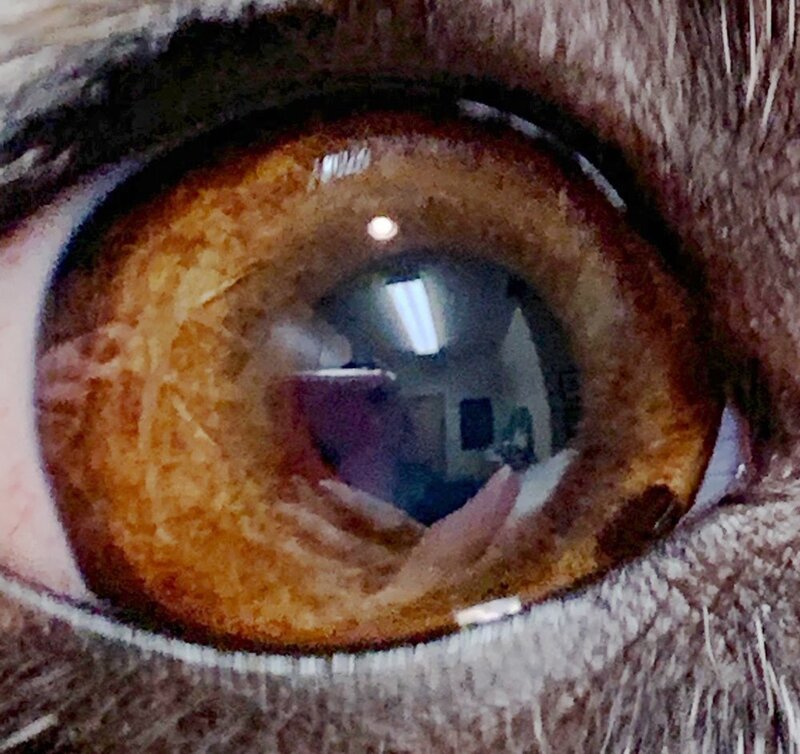 Biliateral iris melanoma/melanocytoma in a 6.5 YO miniature Australian shepherd. Signalment: For past 5 years, OS has had a slowly enlarging dark spot on the ventral iris. Within the past 6 months or so, OD has had a smaller dark spot on the nasal iris. Clinical findings: Both eyes have raised dark brown iridal masses-- OS ventral iris, OD nasal iris. Both eyes are otherwise normal. Ultrasonography and gonioscopy pending.